Individual debtors generally choose between two types of bankruptcy, Chapter 7 and Chapter 13. Under Chapter 7 bankruptcy, a bankruptcy trustee will liquidate your non-exempt assets and use the proceeds to pay your creditors. After that, you receive a debt discharge. Under Chapter 13, you repay your debts over three to five years, and any debt discharge is strictly limited. Both forms of bankruptcy are subject to eligibility requirements. Federal law limits multiple bankruptcy discharges. You must observe an eight-year waiting period between successive Chapter 7 discharges, and a two-year waiting period between successive Chapter 13 discharges. In addition, a six-year waiting period applies to obtaining a Chapter 13 discharge after a Chapter 7 discharge. A conditional six-year waiting period also applies to obtaining a Chapter 7 discharge after a Chapter 12 or Chapter 13 discharge. These limits apply to full discharges; you may be able to obtain a partial discharge earlier. You are permanently barred from obtaining a discharge for debts incurred through fraud or misrepresentation. Finally, you cannot file a bankruptcy petition if you filed a previous petition that was either abandoned or (under certain circumstances) voluntarily dismissed within the last 180 days. In 2005, Congress enacted the Bankruptcy Abuse Prevention and Consumer Protection Act. This act is designed to prevent fraudulent and abusive bankruptcy practices. It authorizes the U.S. Trustee Program to implement a "means test" to determine Chapter 7 eligibility, for example, and provides for the auditing of Chapter 7 documents provided by the debtor. In addition, debtors must now complete credit counseling with an entity approved by the U.S. Trustee Program within 180 days prior to filing a bankruptcy petition. Since Chapter 13 requires you to repay all or most of your debts, you must prove that you have the ability to repay them within the three-to-five-year repayment period. To do this you must demonstrate that you have a stable, disposable income beyond your basic living expenses. Debt limitations also apply. As of 2012, your unsecured debts must not exceed $360,475 and your secured debts must not exceed $1,081,400. If your debts exceed these limits, you may be eligible to file under Chapter 11. Under Chapter 7, you may have to pass a means test to maintain your bankruptcy petition. You are exempt from the means test if your debts are primarily non-consumer debts (such as business debts you personally guaranteed) or if your income is lower than the median income for your area. The means test takes into account your income and expenses, and is based on a complex formula. If you don't pass the means test, you may file under Chapter 13 if you qualify. Southern California Law Advocates, P.C. 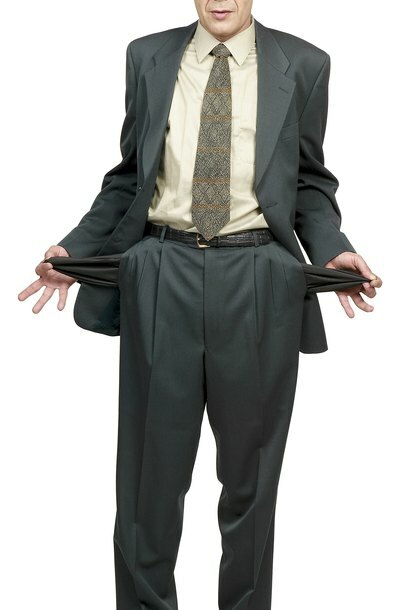 : How Often Can You File Bankruptcy?